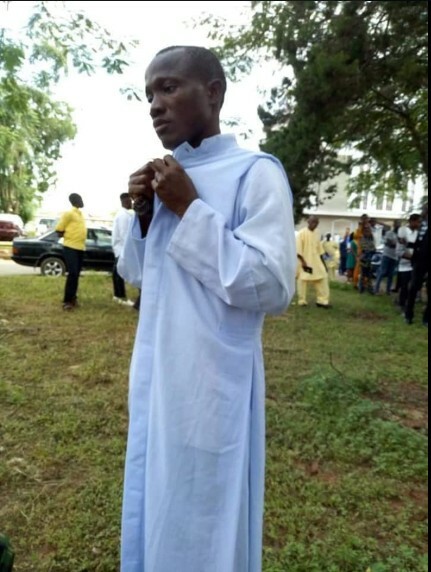 It was earlier reported how a young man disguised as a Catholic Seminarian, in order to steal a car during a Priestly Ordination on Saturday at Maria Assumpta Catholic Cathedral in Owerri, Imo State. 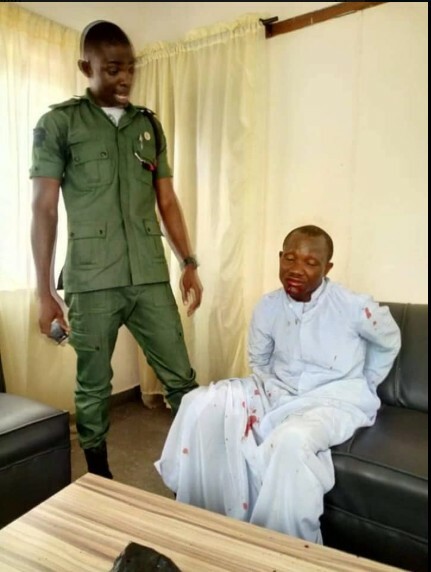 He was apprehended while trying to steal a car during the event before he was handed over to some soldiers, and Man O' War operatives in the church who punished him before transferring him to the policemen on ground. 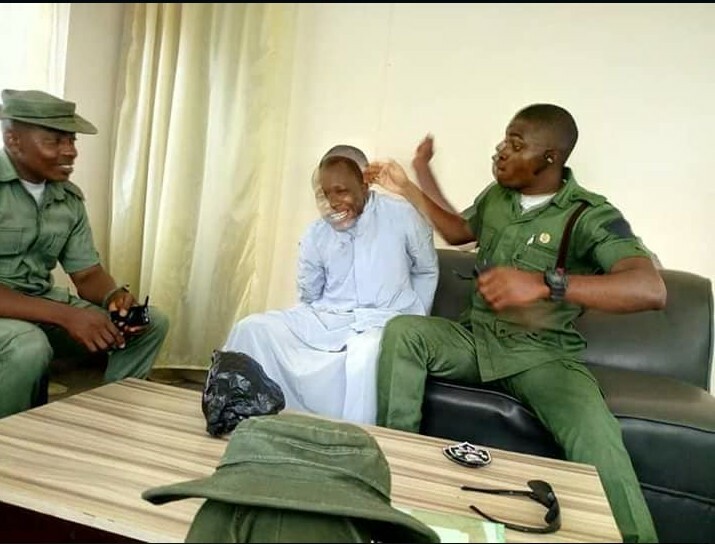 New pictures have emerged showing the moment Man O' War personnel slapped out blood from the suspect during "interrogation".